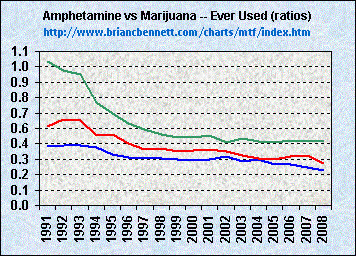 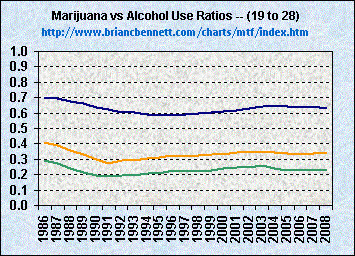 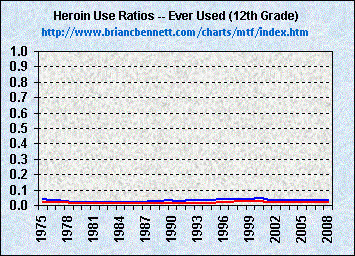 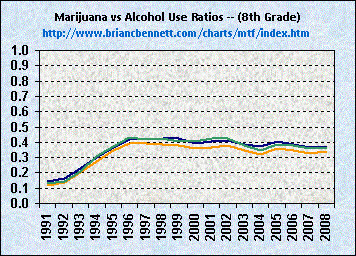 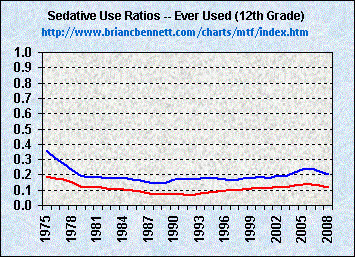 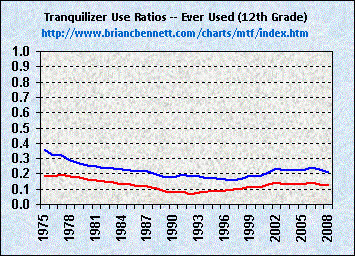 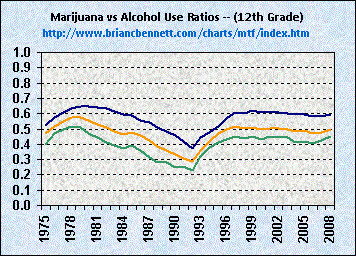 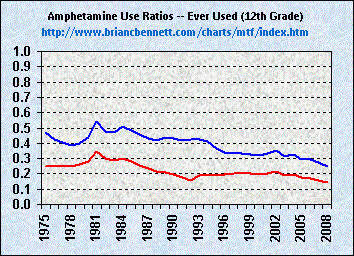 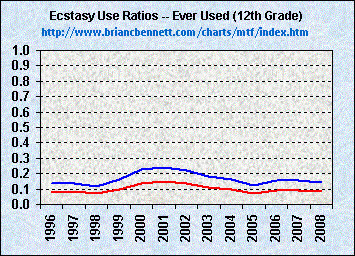 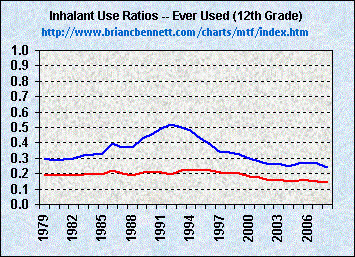 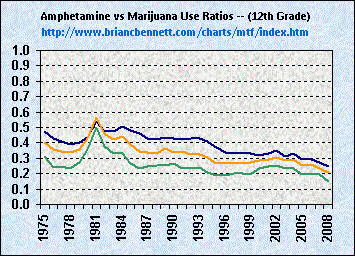 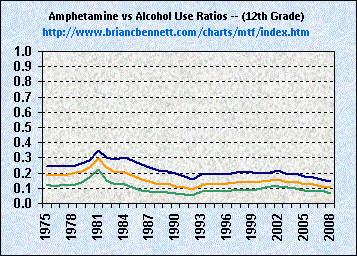 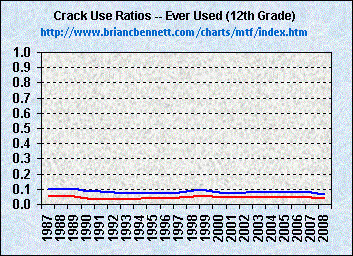 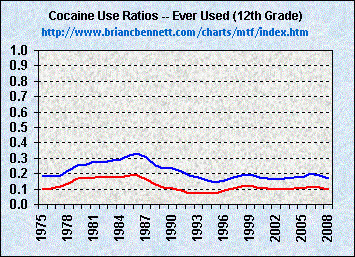 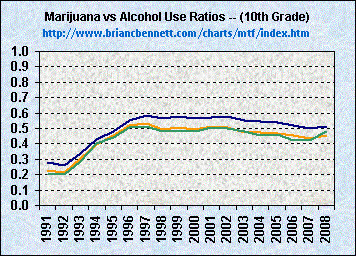 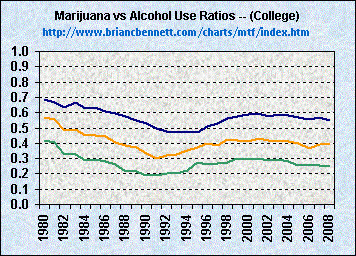 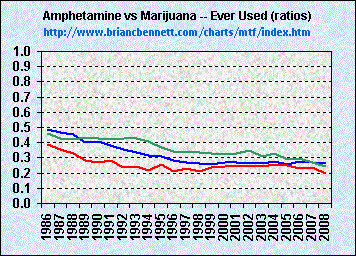 This page serves as a convenient navigation aid for finding data tables and large graphics depicting the ratios of use for various drugs compared to the use of alcohol and marijuana among high school seniors. 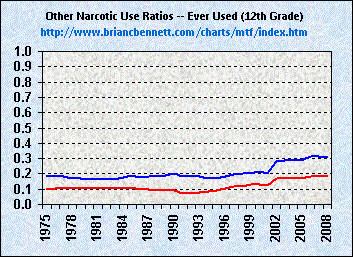 For each drug included here, clicking the graphic will bring you to a page focused on various aspects of the use of that particular drug. 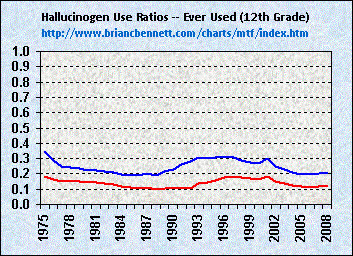 Additional links are provided to navigate to data for other demographic groups as well. 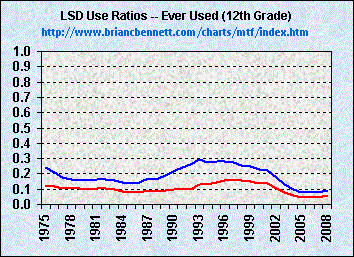 As you use the site, any small graphic without legends is intended primarily for navigation purposes, thus you can always click any such graphic to move through different parts of the available data and the site contents.